2017.07.08 - The SLRB-BGHM and citydev.brussels, as contracting authorities, have launched a joint procurement process for a mixed construction/renovation project of about 400 dwellings (280 social and 120 middle-income), 2 schools and approximately 15,000 m² of business premises. The project will be located on two adjacent sites in Anderlecht, between Rue de la Petite Ile and Rue des Goujons at the entrance to the city. The land in question has considerable potential, in view of its location and size. 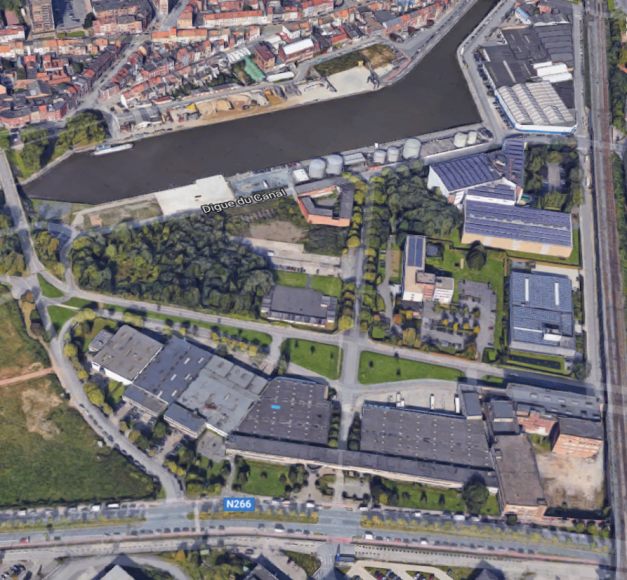 Currently situated in an industrial and commercial zone, this district in the Biestebroeck area is set to develop into an urban district with enormous functional diversity, in the context of the Canal Plan and current thinking on the productive city. The project is one of the very first in this part of the city. It is also innovative in the urban planning ambition that underlies it: housing will be combined with premises for productive activities, which will thus be integrated within a vibrant urban setting rather than relegated to anonymous structures in designated zones on the outskirts of the city. Deadline for submission of tenders: 13 October 2017 at 2 pm.